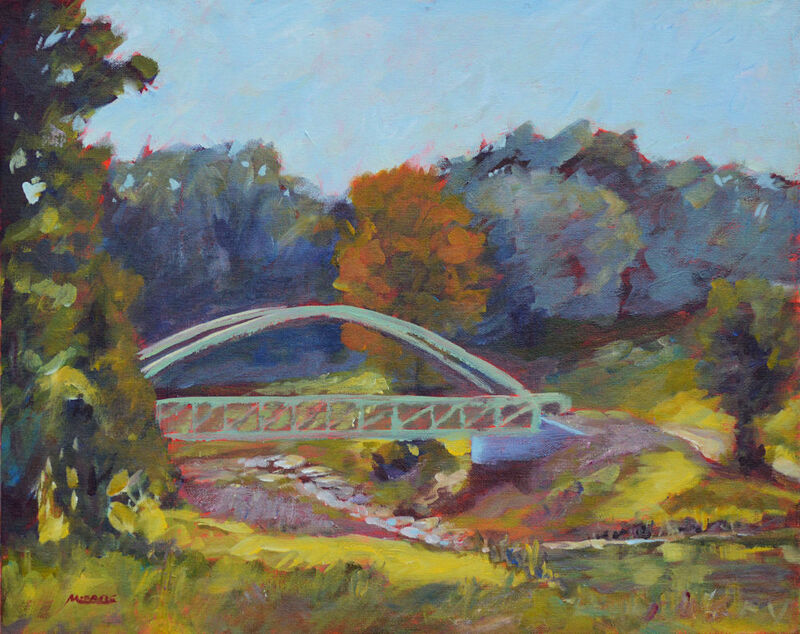 This entry was posted in contemporary impressionism, plein air and tagged acrylic, contemporary impressionist, indiana, kit miracle, plein air, toned canvas. Bookmark the permalink. Lovely! I’m not surprised you got first place. So interesting to hear about your process. 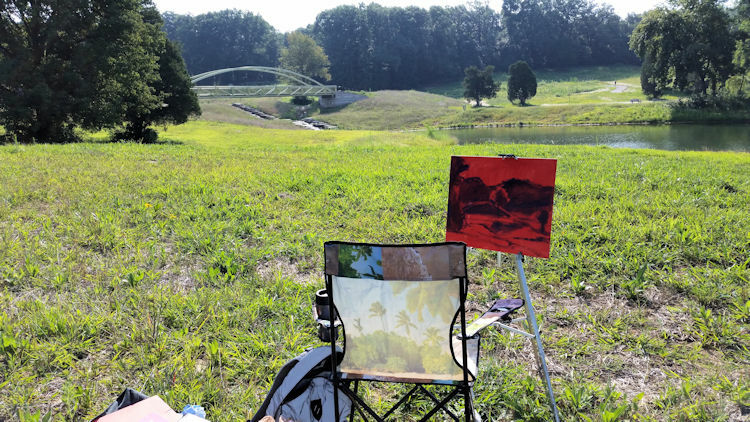 I need to do more plein air painting. Thank you. It’s challenging fighting the elements, bugs, passersby. 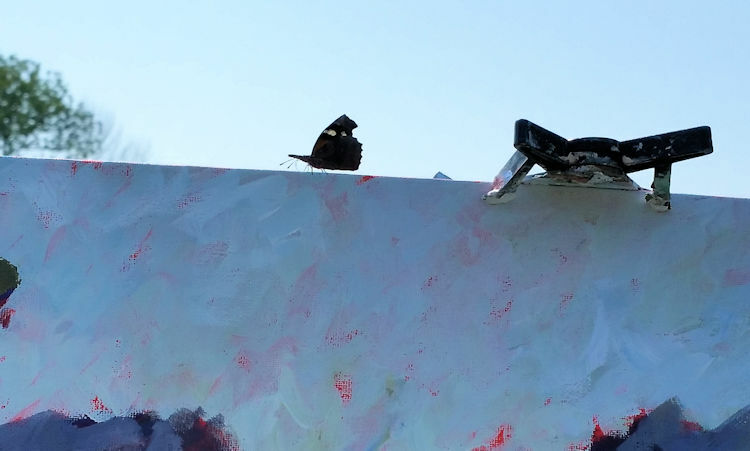 But it also ensures that you must paint relatively quickly to beat the changing light. Good practice. Thank you. 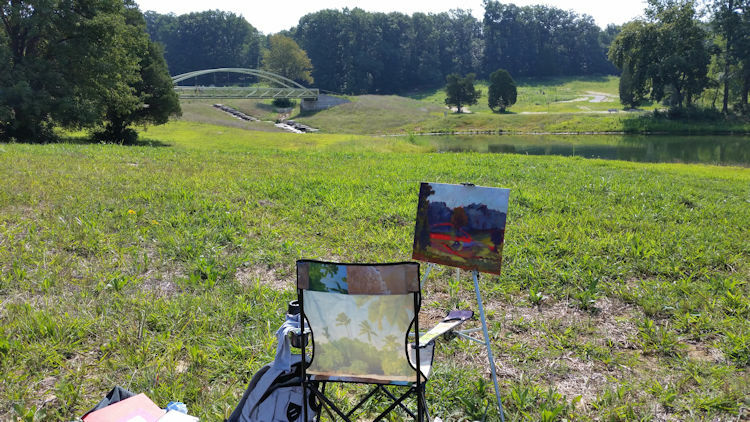 Let me know what else you would like to learn about plein air painting.